Are you a photography enthusiast looking for the best DSLR with the features you want your camera to have? These cameras can offer you with better control, more power and performance versus entry-level type DSLRs. They are perfect for shooting different tricky subjects, such as wildlife and sports. Many of them possess faster continuous shooting rates and have superb AF systems. So, if you’re looking to get your hands on one of them, you might want to check out the list below for our top picks in the category. The product is a little pricey, but it does offer superb performance features that won’t disappoint you. It is also appreciated by users for its fast continuous shooting capacity and excellent design. The Mark II packs many superb features, such as an AF system of 65pt, cross-type. This camera is for you if you’re looking for a product that can give you precise results on tricky and moving subjects, such as animals. The Canon model also has excellent weatherproofing ability as well as an exposure-metering sensor. However, the camera does not have Wi-Fi connectivity or touch screen capacity. However, with its fantastic features, you might want to consider it versus other models. Hobby photographers will love the Canon 80D for its great live view AF and dynamic range. If you’re looking for fast focus, you might want to take a second look at this model that offers a 45pt AF system. It also has the Dual Pixel CMOS AF system that can deliver superb focusing speeds for live view. Users also appreciate its handling capacity, which lets them take creative shots and adjust easily and quickly. You can look forward to great detail while eliminating noise – keeping it under control. If you’re looking for a decent performance, you might want to give the 80D a second look. Do you want to take photos of sports action? Pros and even beginners alike appreciate the capacity of the D500 in helping them achieve precision shots in no time. The product also has solid construction and possesses top performing AF system of 153pt. Having a compact body, the product is one of the best Nikon models out there right now. It offers the brilliant 20.9MP APS-C CMOS sensor, which can deliver a great ISO performance you’ll appreciate. It is an excellent all-rounder model that delivers user with a powerful sensor of APS-C CMOS and megapixels of 20.9. The product has the pro specs that users will love and know about Nikon. 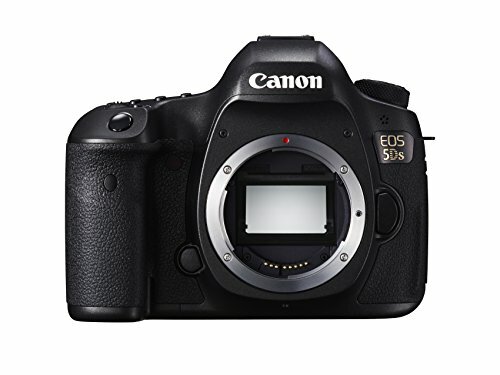 Although it does not possess the highest AF system offered by the D500’s 153pt, but 51pt is still impressive. In addition is the 4K video capture, 8FPS burst shooting capacity and tilt-angle touch screen. Both existing and new users will appreciate this camera for its useful features. Did you pick the DSLR camera to take your photography to the next level? Or would you like to share your experience using any of these on the list of our top enthusiasts DSLR camera? Tell us what you think in the comment section below.